A group of five bell-ringers arrives in Moscow from Harvard University on Aug. 12. 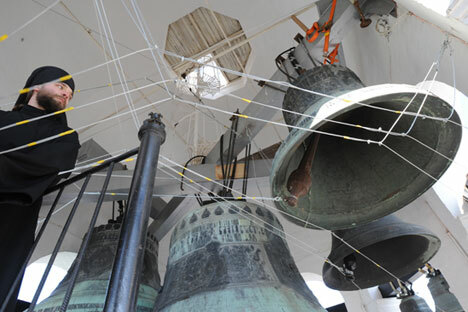 "The Harvard University students study the Russian bell-ringing tradition in their free time. They will come specially to learn the Russian bell-ringing culture and boost their bell-ringing level. At Harvard, they ring copies of 18 Danilov bells," the press service for the Moscow Danilov Monastery told Interfax-Religion. The ten-day program includes training sessions using bell-ringing simulators, participation in the bell-ringing in the Danilov Monastery, getting to know with their Russian colleagues, visits to churches, bell-towers and museums, and a short trip in Russia. Harvard University and the Danilov Monastery earlier reached an agreement on a cultural exchange.